Seoul is the diverse capital of South Korea. With a population of over 25 million residents, it is the fourth biggest city in the world. 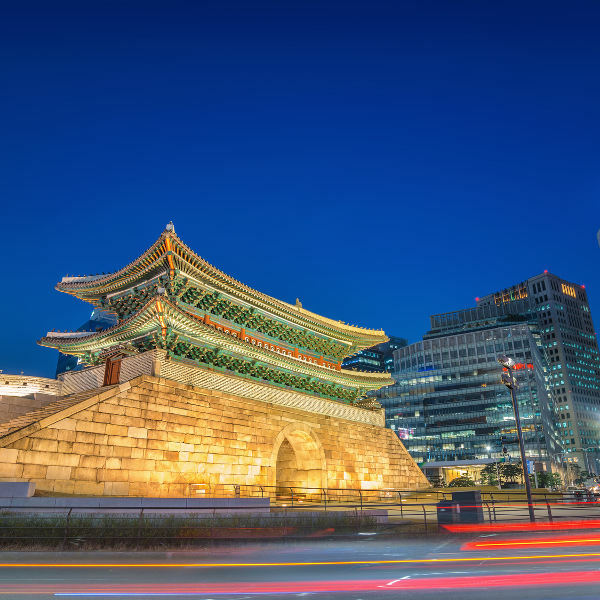 Seoul offers you the chance to immerse yourself in its fast-paced environment, where the past meets the present. Leading tourist attractions of this destination include Gyeongbokgung, Myeong-dong, and N Seoul Tower. Cheap flights to Seoul are now available for a short time, so prepare yourself to explore this modern destination. The city is served by the Incheon International Airport (ICN), which is a 3-hour, 15-minute drive from the centre of the city. 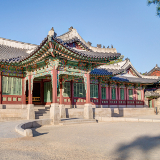 Seoul is home to three World Heritage Sites. 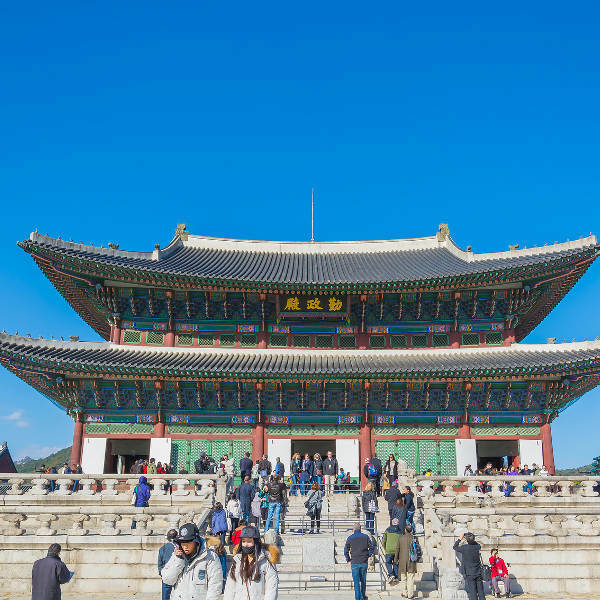 Discover the history of the capital of South Korea, while exploring magnificent palaces, sacred shrines and majestic tombs. This destination is a hub of activity, throughout all 24 hours of the day. With its collection of attractions, Seoul will keep you busy all day long! Seoul fuses the past and the present. Ancient and traditional buildings set alongside the contemporary and futuristic skyscrapers present you with an exotic holiday destination. During the spring (March – May) and autumn (September – November), you can experience more pleasant weather and lower accommodation rates; however, you may still find yourself visiting alongside a great many other tourists during this season, and you may experience high volumes of rain in the first month of the autumn season. If you want a better chance of smaller crowds and the best accommodation and flight rates, visit during the winter season (December – February), but pack more winter wear. The peak tourist season in Seoul is the summer (June – August). With uncomfortably humid weather, high accommodation costs, and bigger crowds, avoid booking flight during this period. Let Travelstart help make your dream holiday a reality. 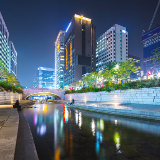 Seoul is one of the most exceptional tourist destinations in the world. Discover the city that never sleeps and where the past meets the present, and prepare yourself for a memorable travelling experience in the capital of South Korea. When you’ve shopped to your satisfaction at a huge selection of retail outlets, sate your appetite at a diverse collection of restaurants and cafés. 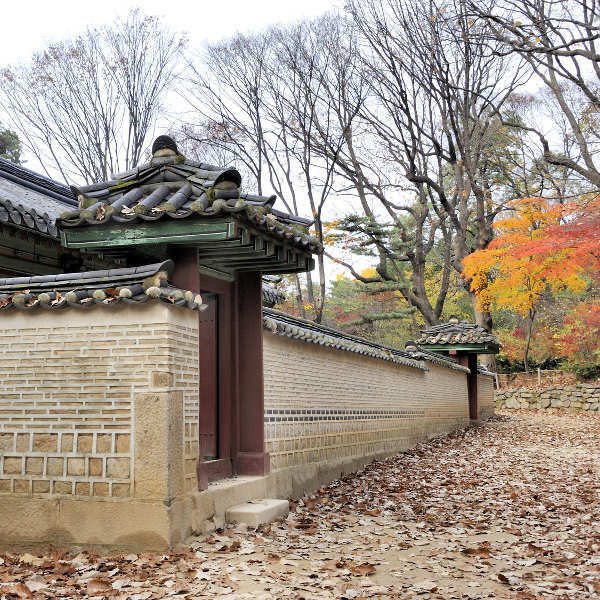 Explore Seoul’s breath-taking designs, which makes traditional and modern buildings neighbours. Then, you can take a tour of all the World Heritage Sites and historical sites. There is also the capital’s nightlife scene, where you can immerse yourself in all the fun at the variety clubs, bars and pubs. By the time you’re thinking of calling it a night, you might find that the sun has risen for the next day! Compare several airlines and book your cheap flights to Seoul online at Travelstart! You are not required to get any special vaccinations before entering South Korea, however, it would be wise to get vaccinated against hepatitis A and B.
Seoul has a high standard for safety, but that should never stop you from taking care, especially at night. There are a variety of hotels scattered throughout Seoul, among the shops, restaurants and historical sites. Some of the best areas to stay to get close to them include Doryeom-dong, Insa-dong, Haengchon-dong, and Supyo-dong. Among the most reputable establishments, there are the hotels of The Plaza Seoul, Banyan Tree Club and The Westin Chosun. The cost of accommodation at one of these establishments ranges from over ₩84,000 to under ₩425,000. The most efficient way to travel around Seoul is the subway. When you’re out late night, the best option is the taxis and buses. You will need to get a rechargeable card for using the subway, bus and taxi. The cost of using these services ranges from ₩340 to under ₩64,000, depending on the distance you travel.